Prescription stimulants are often used to enhance athletic or academic performance. Some of the signs of an addiction include changes in behavior, hyperactivity and weight loss. Stimulants ranging from ADHD medication to cocaine are often abused for their effects, from alertness to the euphoric high. Those who frequently abuse stimulants, regardless of their intentions, are at risk of becoming addicted. Knowing what to look for in a person abusing stimulants can help you identify if someone has a problem with these drugs. If any of these signs look familiar to you, contact a treatment professional for rehab programs that can help break a stimulant addiction. Abuse of all types of stimulants can lead to negative consequences. The most obvious danger of abusing stimulants is their addictive quality. However, there are also consequences that can affect a person’s health in both the short- and long-term. Abusing stimulants to enhance athletic performance is particularly dangerous because stimulants increase blood pressure. The combination of physical exertion and stimulants can lead to cardiac arrest or stroke. Several athletes have died due to stimulant abuse. The dangers of illicit stimulants like cocaine and meth are similar, albeit amplified, to those of prescription stimulants. There may be a higher risk of fatal overdose amongst those using illicit stimulants due to the potency of these drugs. An addiction to stimulants can develop with frequent abuse, whether that abuse is for recreational or performance purposes. Often, the person abusing stimulants doesn’t realize an addiction is forming. Doctors and addiction specialists treat addiction as a chronic illness, much like diabetes. Just like any illness, an addiction diagnosis requires clinical criteria that must be met. Some of the greatest indications of a stimulant addiction include: a need for increasingly larger amounts of stimulants to gain the desired effects; experiencing withdrawal symptoms when cutting back or discontinuing use; and making frequent unsuccessful attempts to cut back or quit. Learn more about the criteria for diagnosing an addiction. People with addictions often don’t realize or won’t admit that they have a problem. Stimulant addiction is no different. Many people use drugs with the intent of getting high. This is not always the case with prescription stimulants, as many users take them to focus on work or stay awake to study for a test. 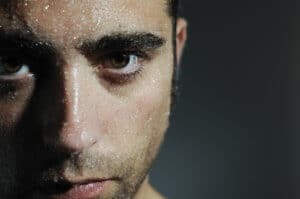 Stimulant abusers may incorrectly assume that they do not have a problem because their ultimate goal is to be productive rather than intoxicated. If you know someone who can’t see that their stimulant use has become a problem, staging an intervention can help them realize they need treatment. Learn more about staging an intervention. Once someone has formed a tolerance to stimulants, they can no longer function normally without them. A person addicted to stimulants will experience withdrawal symptoms when they stop using them. These effects may develop within hours or may take days to set in. Some common withdrawal symptoms from stimulants include insomnia, depression and irritability. Overcoming an addiction to stimulants may require a detox period. An inpatient treatment center can provide a safe environment for detox as well as therapy and support groups. Those addicted to stimulants may also seek therapy outside of a treatment center. Therapy is one of the best ways to beat an addiction to stimulants — users learn the tools they need to conquer cravings and make a successful, lasting recovery. If you are ready to get help, explore your treatment options.